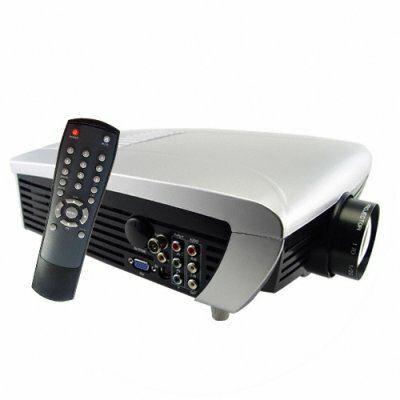 Successfully Added VGA Multimedia LCD Projector with TV Tuner - 110V to your Shopping Cart. VGA Multimedia LCD Projector with TV Tuner, a great multifunction projector for any home or office. This unit will be perfect for office presentations with a handy VGA input that will give connection to your notebook computer or desktop box. With the a video connection you'll be watching movies on a potentially huge screen - 150 Inches! !